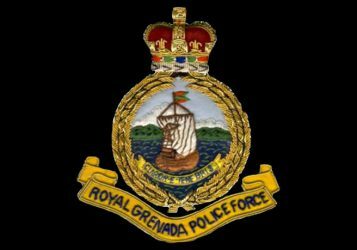 Several arrests were made and numerous persons charged over the weekend as the RGPF continue its relentless fight against crime and violence. In St Andrew, one person was charged in connection with an attempted robbery at Moonlight City, La Poterie, while two other persons are assisting police with their investigations. Numerous drug related operations were also conducted island-wide, which resulted in various persons being arrested and charged. A quantity of cannabis in excess of two pounds and seven (7) balls of cocaine were also seized during those operations. One illegal firearm was also recovered during a police operation. An attempted robbery at a Barber Shop in St. Patrick was thwarted by officers, who have since detained one person for questioning. Another person is in police custody assisting with investigations relating to a shooting incident that occurred at “Jab-Jab” Fest, Fun City (Maurice Bishop Highway, St George) on 2 August, 2013 which left one young lady hospitalized. Charges are expected to be laid against several of the persons currently in custody assisting police with other investigations. Police is investigating a serious vehicular accident which has left both drivers and a passenger hospitalized. The accident occurred at the La Taste, St. Patrick public road, and involved a truck and a van which collided with each other. Also at the weekend, seventeen (17) persons were arrested and charged in relation to previously reported matters, which include offences such as robbery with violence, wounding, grievous harm, stealing and housebreaking and stealing. The Royal Grenada Police Force takes the opportunity to thank the members of the general public for their continued cooperation and support, and makes a clarion call to all and sundry to continue to utilise the Crime Hotline Number 444-1958 and/or their Anonymous Tips website link to provide information on crime.